“All happy families are alike; each unhappy family is unhappy in its own way.” So said Leo Tolstoy in the opening sentence of Anna Karenina. It's clear that Woody Allen knows a thing or two about unhappy families. Today's New York Times has published an open letter from Allen's adoptive daughter Dylan Farrow in which she alleges that he sexually abused her when she was seven years old. You can read Dylan Farrow's Open Letter here. 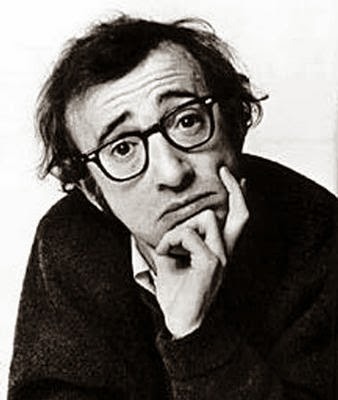 I have a confession to make: I'm a Woody Allen fan, especially of the films he made in the seventies and eighties. 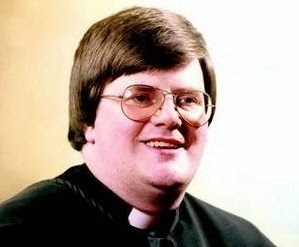 It's easy when such allegations are made against people one doesn't like, such as, say, the late Father Sean Fortune. Unlike Woody Allen, Father Fortune has no fans. Though he had plenty of apologists in and around County Wexford and in the Catholic Hierarchy when it mattered. Some people have said that the resurfacing of these allegations would make them refrain from ever again watching any of Woody Allen's films. Dylan Farrow's Open Letter ends with the sentence: "Now, what's your favorite Woody Allen movie?" It is understandable that she might say this. For others, though, to say that you can't separate the art from the artist is, well, the sort of stupid one would expect from people who watch Eastenders, vote for UKIP, take all of Michael D Higgins's statements at face value, think Michele Bachmann is great or that the Iona Institute have a point. It is on the obvious side to say that many artists are not nice people. For legal reasons I can speak only of the dead. Edgar Allan Poe, Paul Gauguin or Henri Toulouse Lautrec - in the unlikely event of their reincarnation - would not be the best people to put teaching creative writing or painting to your teenage daughter. And as for the Marquis de Sade, well, he definitely wouldn't get the Garda clearance necessary to work as a tutor on Poetry Ireland's Writers-in-Schools scheme; yet it has to be a good bet that his Justine will still be in print long after most of Maya Angelou is discreetly forgotten. It's not about who you'd rather have round for dinner. "Céline will not write a second book with such an aversion for the lie and such a disbelief in the truth. The dissonance must resolve itself. Either the artist will make his peace with the darkness or he will perceive the dawn." None of this invalidates Journey To The End of The Night, or makes any of the hundreds of mediocre-but-worthy tomes composed by harmless types during the 1930s a better novel than Journey To The End of The Night. Know the artist's biography. Know where their art comes from. Sure. But the art itself is separate from the issue of whether you would want to have the artist around for Fondu or to leave them minding your five year old. Perhaps the thing that most disturbs me about this latest episode is the way the allegations have surfaced i.e. via an Open Letter to the New York Times rather than a complaint to the police. The UK Socialist Workers Party (SWP) have, of late, gotten themselves into grotesque tangles because of their attempt to deal internally - through the party's 'Disputes Committee' - with allegations of serious sexual impropriety made by a young female member of the organisation against one of the SWP's leaders. Just google the words 'Comrade Delta' and see for yourself. Allegations of this sort cannot be dealt with either by the Disputes Committee of the SWP or by Open Letters to the New York Times. If there is a case to answer, it should be answered in a court of law, for it is the only institution so qualified. Courts don't always bring justice, of course. But they bring more justice more often than online comments, secretive internal committees or righteous villagers with blazing torches.